Search New Rogue . . .
We have a large selection of brand new Nissan vehicles to choose from. 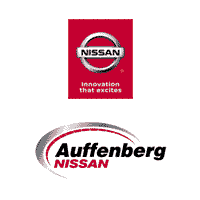 Here at Auffenberg Nissan, our family owned dealership has been proudly serving drivers in the Saint Louis Metro East area with quality Nissan vehicles since 1999. Our convenient central location in O'Fallon, IL makes it easy for us to be a one-stop-shop for all of your automotive needs. We strive to provide positive and enjoyable experiences to our customers every time they visit, and we go out of our way to give back to the supportive community in every way possible. As soon as you walk into our showroom, our friendly sales team will be there to point you in the direction of the new Nissan model that will best serve your driving needs. Whether you’re in search of a Nissan car, truck or SUV, you’ll have plenty of great options to choose from. We carry all of the latest models from the new 2017 Nissan model line-up, including favorites like the Nissan Altima, Maxima, Sentra, Rogue, Pathfinder and Titan. Once we set you up for a test drive, you’ll then know for sure which model is the right match for your lifestyle.Or if you’re shopping on a budget, you can explore our diverse selection of used cars. You don’t have to sacrifice quality to drive home in an affordable vehicle. Browse our selection of pre-owned vehicles from all of the top auto brands, and experience for yourself how they look and drive like new. At Auffenberg Nissan, we are our just as proud of our used car dealer lot as we are our new car showroom and we love sharing great deals on quality cars with all of the neighbors in the greater O’Fallon, Belleville, Collinsville and Swansea, IL area. Once you’ve found a new or used vehicle that catches your eye, allow our car financing experts to sit down and discuss which auto lease or loan option works best for the needs of your budget. We’ll walk you through the process, allowing you to feel confident knowing you’re set up with manageable monthly payments. After we send you home in your stylish new ride, you can continue to count on Auffenberg Nissan for all of your automotive needs. For routine maintenance and repairs, visit our on-site service center. Our factory trained technicians will see to it that your vehicle stays in pristine condition for as long as possible, and we’ll treat your vehicle to a complimentary car wash every time you visit. Whether you need genuine Nissan parts or accessories, we can get you exactly what you need. As you can see, when it comes to serving customers hailing from the O’Fallon, Belleville, Collinsville, Swansea, IL and St Louis, MO areas, our team at Auffenberg Nissan likes to go above and beyond. To see for yourself how we can improve your upcoming driving adventures, stop in to take a look around. We’re looking forward to your visit!